Right actions repeated with time become positive habits. If you want to become a better language learner, then doing good actions is a great initial step to arrive there. Make enough of those positive changes and you will develop positive habits. That is why even the smallest adjustments can mean a lot to your learning. Looking for suggestions on positive actions and changes you can develop as a language learner? Here is a list of suggestions. 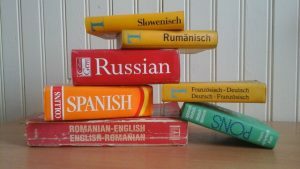 Whether you are reading in foreign language, watching a foreign movie or listening to a speech recorded, resist the urge to open a dictionary for every word that you do not instantly identify. Instead, make an attempt to guess meanings of words from both, context presented in material and your knowledge of language. Doing it will enable you to gain a much better grasp of language as you make mental connections between various elements of language. Lots of language students are afraid to make mistakes. The solution is straightforward! Just use language and make mistakes. Embrace mistakes – they are one of a language learner’s best allies. Recognize and seize opportunities to use target language. There are so many of them, especially, if you’re in a country where language is widely spoken. In several cases, individuals will talk to you in English, if they notice you are struggling with their language. Figure out a way of tracking your development in language. Some language programs may have facilities integrated for this, using predefined tests to give you a score on your current skill level. Having a way to track and measure your progress will enable you to keep tabs on how you are actually doing. 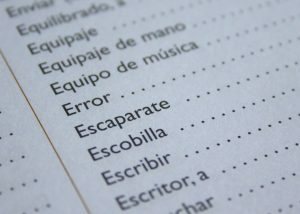 A journal won’t just serve as a record of all of material you have studied in your language learning efforts, you can also use them to record your experiences in language. When your language training material makes a suggestion about activities to do, do not just ignore or shrug them off.